Today marks the second year since the assassination of Dr. George Tiller, a pro-choice advocate and provider of reproductive health services, including late-term abortions. On May 31st, 2009 an anti-choice extremist named Scott Roeder shot and killed Dr. Tiller. Roeder was convicted by a jury of his peers on charges of first-degree murder and aggravated assault, and was sentenced to life without parole. The stiff penalty for killing an abortion provider doesn’t seem to be detering other would-be murders. Last Thursday Ralph Lang, a 63-year old anti-abortion extremist was arrested in Madison, Wisconsin when he told police that he had driven in from Marshfield, WI to shoot the doctor and nurses at a Madison Planned Parenthood. There is a long history of persecution, harassment and violence against those who provide abortions or who work to ensure access to abortion. In 1995, David J. Garrow of the New York Times wrote that this type of extremism “is the death throes of an anti-abortion movement in which almost every remaining participant realizes that the war to overturn Roe v. Wade has been irretrievably lost.” Would that he had been right, but 16 years after that article was published our abortion providers still have to wear bulletproof vests to work. Clinics still need enhanced security and volunteers to ensure that patients can get to their appointments. Legislators are still introducing new bills that would restrict women’s access to abortion. Pro-choice advocates often do not receive the positive recognition, support and accolades that they so richly deserve. There is a lovely post over at Almost Diamonds which urges all of us on this Memorial Day to recognize not only the veterans of US wars and military engagements, but those who have fought to ensure our freedom in other areas of our lives. I recognize Dr. George Tiller, Dr. Barnett Slepian, Officer Robert Sanderson and Nurse Emily Lyons, Dr. Jack Fainman, Dr. Hugh Short and Dr. Garson Romalis, Shannon Lowney and Leanne Nichols, Dr. John Bayard Britton, James H. Barrett and June Barrett, Dr. David Gunn. I recognize all of the employees and volunteers of clinics who support or provide abortion, who work to keep clinics open and serving their communities despite the potential for harrassment, violence and even death that is, frustratingly, just part of the job. This Memorial Day I remember their courage and their sacrifices. A Lake Monster In Minnesota! I have a new article up over at the Minnesota Skeptics’ blog! Brosno Dragon – Lake Brosno, West Russia. Said to resemble a dragon or dinosaur, with potential sightings going back to the 13th century. 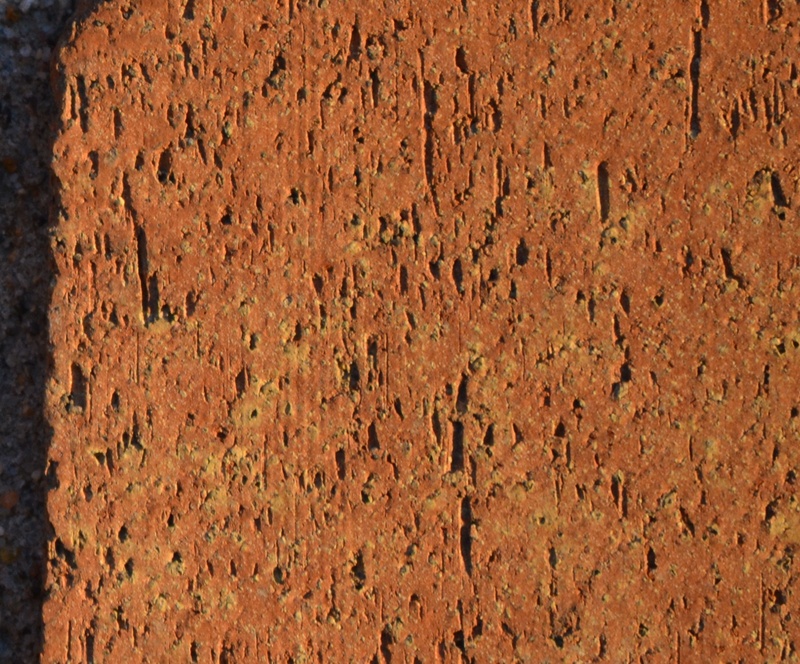 Lagarfljóts Worm – Lagarfljót, Iceland. Otherwise known as the Iceland Worm Monster. Walks on land and swims in the water, spits poison. Mean beastie, but that may be because it was thrown in a cold lake when it was just a baby monster. To read the rest of this piece, which includes my own real-life lake monster sighting in Richfield, MN – and a picture of the beast! – please visit my full article at Minnesota Skeptics’ blog. Omigod, it’s Geek Pride Day Again!!!!!!! Today is the day that we nerds, dork and geeks wear our chosen badges with honor and pride! 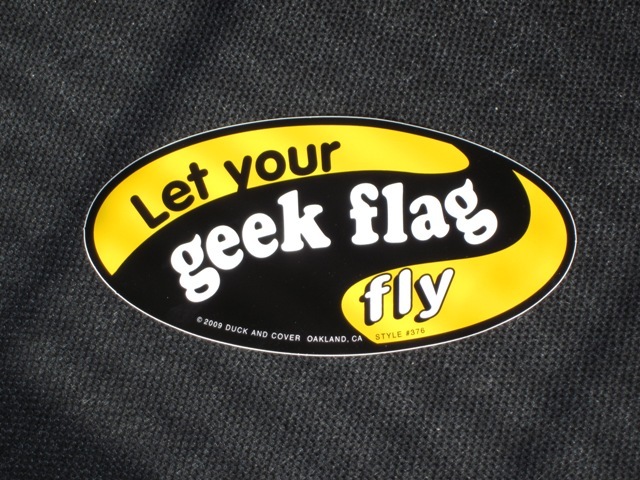 Geek Pride Day – Fly your geek flag high, you geeky mcgeekersons! Towel Day – Every year on May 25th fans of Douglas Adams and his Hitchhiker’s Guide to the Galaxy commemorate the author and his works by carrying a towel around. Not that a hoopy frood doesn’t always have a towel with him. Glorious 25th of May – A celebratory day for Terry Pratchett’s Discworld fans. It’s all about Truth, Justice, Freedom, Reasonably Priced Love, and a Hard-Boiled Egg! And I found this Manifesto over at Wikipedia – did you know we had a manifesto!? The right to have as many geeky friends as you want. The right to be out of style. To save and protect all geeky material. I don’t know that I live up to all of the responsibilities on the list, but I sure hit a number of them. Ah well, room to grow. I gotta say, my geekiest moment ever is probably when I was LARPing. LARP is one of the hardest things for me to explain to non-geeks. They understand specialized geekiness with science, movie trivia, sports stats and things like that. They get video games, and comics, and most people have heard of sci-fi conventions and D&D, but Live Action Role Playing? That’s about when I start losing people. I would love to hear about your glorious geekiness if you’re willing to share. What is your favorite geeky/nerdy/dorky thing to do, read or play? Or…what is the geekiest/nerdiest/dorkiest think you have ever done? Where The Math Nerds At? This one’s for you, math nerds! I only understand about half of what she’s referencing – okay, half may be a little generous – but I can appreciate a math-themed parody of Lady Gaga’s Born This Way. I was invited to participate in a group blog for the Minnesota Skeptics’ meetup group! I’ll be writing with at least nine other members, so I anticipate that we’ll have a wide range of skeptical topics to blog about. Do you wanna see my first article? Do ya? Ohboyohboyohboy! 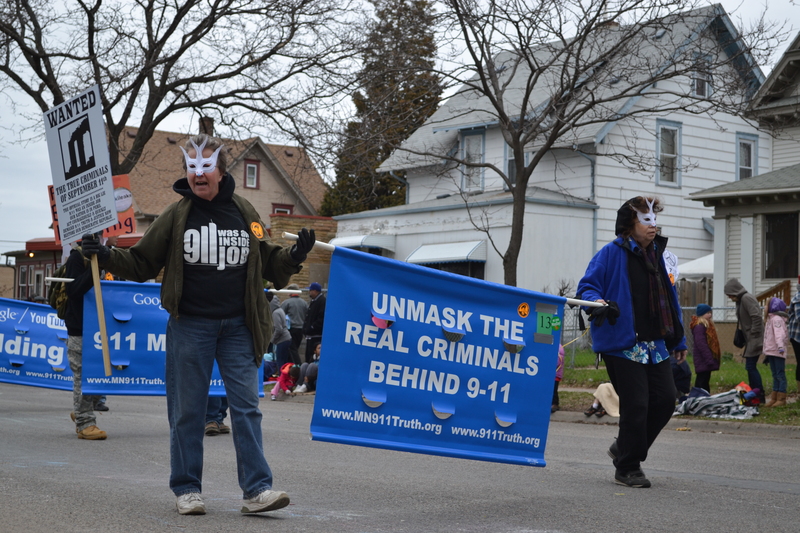 Read the rest of what I have to say about 9/11 conspiracy theories over at the MN Skeptics’ Blog! 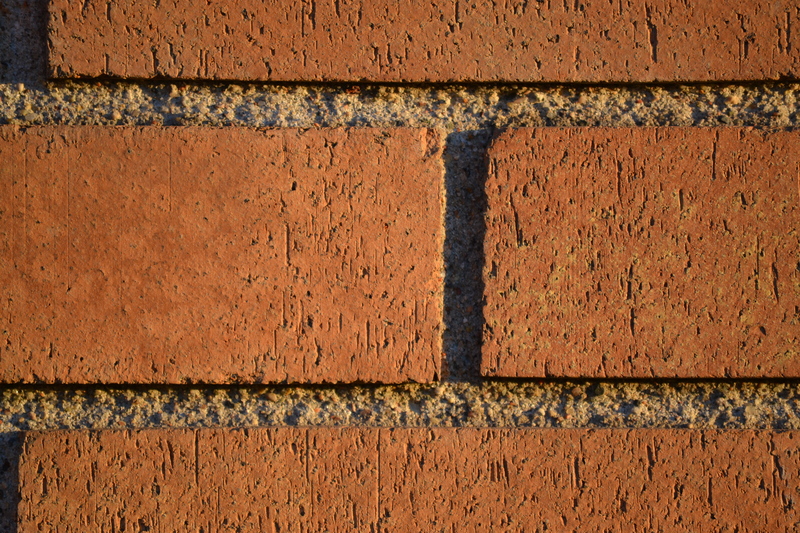 I thought this was a toughie, but apparently I haven’t looked at a lot of bricks up close! You guys absolutely TROUNCED me on this week’s CUP, so I’m going to give everyone who participated an extra 10 points. Noelle gets 100 points for being the first to correctly guess. Heidi, Vicki, Ellie, Erin and Madeline each get 25 points for also guessing bricks. I’m awarding Vicki an extra 20 POINTS for correctly guessing that these particular bricks are from the side of my apartment building. Well done! Judi and Cate! get 10 points for participation but no points for their guesses. And remember – everyone gets 10 additional points on top of their base score. Well played, everyone! Here’s the updated rankings, but stop on by the CUP Winners page for detailed scoring and lame-o prize information. Also, next week’s CUP is going to have to be much, much trickier. Y’all are just too good at this! There's been an upset: Vicki has booted Jeremy from his long-held first place ranking! My friend has a really expensive toy for her cat, Luna. The Rapture is this weekend! 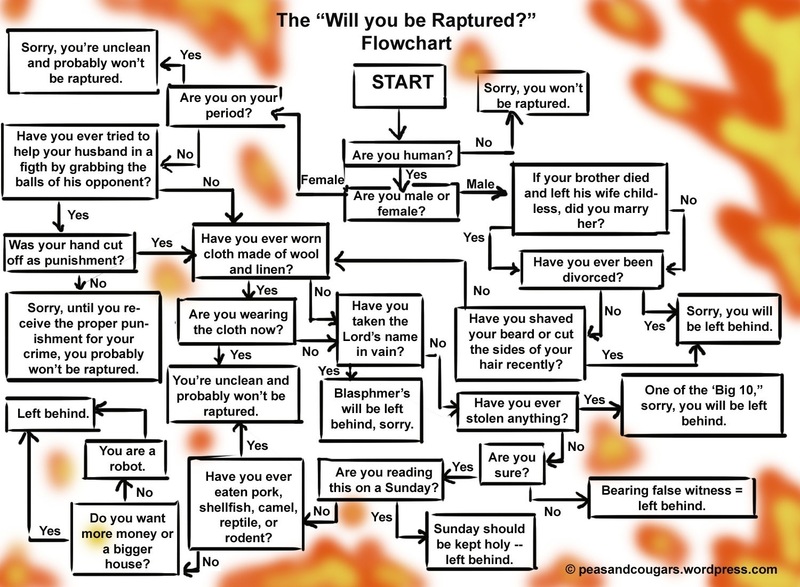 Use this handy flowchart to figure out if you’re going to be one of the lucky ones this weekend. And by lucky ones, I mean those of us left here to enjoy the Earth and all of the available parking spaces, easy restaurant reservations and short lines at the checkout. Unfortunately, according to the figure below not many of us stand a chance of being Raptured, so it’ll still be a pretty crowded place down here. Seen on The Things I’ve Missed, A Growing List. Original source Peas and Cougars.